Ryan has been involved in the precision ag industry since 1996 while working for Ag Depot in Saskatoon. During that time, he was part of the introduction of guidance systems, auto steer, satellite imagery, weather stations, moisture probes, and variable rate technologies. While these technologies were extremely exciting “back then”, we still struggle to implement and “trust the data” now. 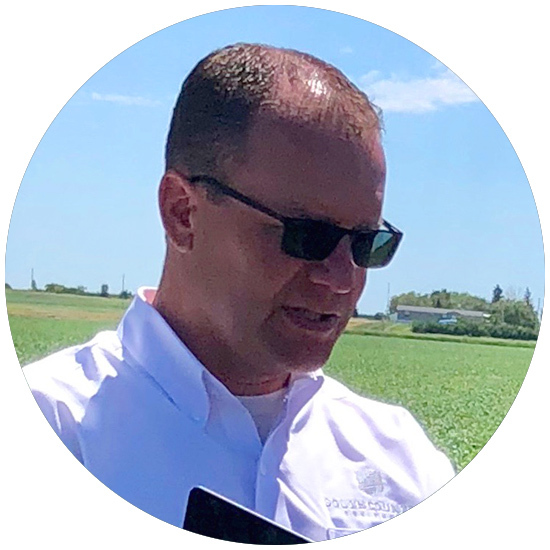 Currently he is the Integrated Solutions Manager for South Country Equipment John Deere in Regina, and co-founder of Crop Intelligence. The department has grown from an original staff of 3 five years ago to 13 today. The staff consists of machine optimization specialists, agronomists, and a GIS Specialist. Ryan currently sits on the Dealer Advisory Board for the John Deere Integrated Solutions Group. A long standing concern of Ryan’s has been that lack of timely data enablement. His team’s goal is to help producers collect “timely, accurate, usable data” for their operation.